OH My Goodness … how awesome to see you here! Today, you are taking a HUGE step towards accomplishing your dreams. We are so excited to share our secrets and help entrepreneurs and network marketers (just like YOU) build a home business empire. 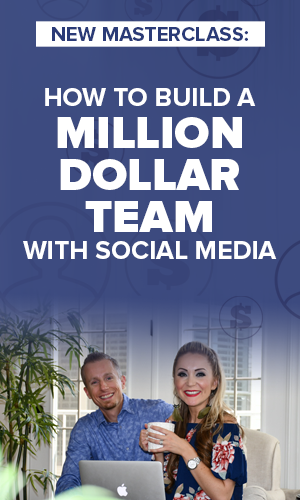 Without social media marketing, we never could have become 7-figure earners. We built a following of over 75,000, recruited over 1,500 people, and reached a top position in our company. There’s just NO WAY. We’d still be stuck working 80+ hours a week (each! ), driving all over the place, and never having time for our kids! 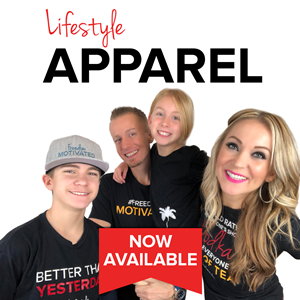 Thankfully we discovered a way to merge our 16 years of traditional network marketing with modern online strategies to create a killer system that we now want to share with you! Learn our simple, step-by-step strategies, and start implementing them in your business right away. Let’s CRUSH IT! ATM your way to an MBA (Massive Bank Account)! Through four, simple, step-by-step training modules we’ll teach you the revolutionary system ATM (Add Tag Message). This system utilizes modern, Facebook group strategies hence you can prospect like a pro, build a massive following, and finally reach the financial freedom you’ve always wanted. PLUS, every strategy we teach is easily duplicatable. This way you can train your team with ease and consequently help others accomplish their income dreams! Is your fear of camera robbing you of massive success in your business? Through this in-depth, step-by-step academy we don’t only teach EVERY ASPECT of creating compelling, high-quality videos that bring in HUGE profits BUT we also help you push past your fears and easily put yourself on camera with COMPLETE CONFIDENCE! Gain clarity on your personal brand, brainstorm interesting video topics, crush your fears, and learn how to deliver your message like a PRO! 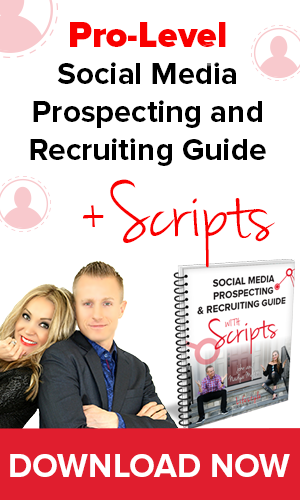 Learn how top producers recruit 10-20 teammates every single month by working less and earning more! This revolutionary, 5-module online course blends 16 years of experience in offline “old school” strategies with the most modern, cutting-edge online marketing strategies to date. Through clear, step-by-step systems, you’ll learn how to become a hybrid networker and grow your business without all the time-consuming mumbo-jumbo like live parties, weekly meetings or 3-way calls! We will teach you how to attract more prospects, acquire more customers, and recruit more people in less time. Since I’ve been listening to you (for just a few weeks now), I have signed up 2 recruits, with 2 more this weekend! – Amanda M.
When I switched companies, I started digging into personal development watching everything you two were putting out. I even invested in one of your training programs. With the knowledge and confidence I had after the training and live video challenge, we doubled in team size and tripled in sales. I have never experienced this before. The ladies on my team who now follow you are having amazing success and it’s all because of the constant training you two provide. For this I am beyond grateful. – Aleshia M.
In just one week since first learning of your programs, and I have learned more than I have in multiples of other programs, combined! I’ve watched more videos than I thought I could even fit in. Who knew learning could be this much fun. Thanks much! 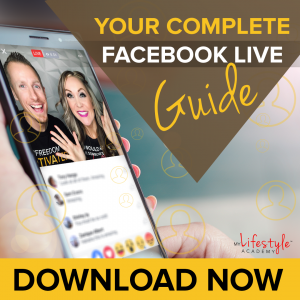 – Cristin G.
My biggest AHA is the pure value of live videos! You guys are the reason I said it’s now or never! Only 5 days in, and I have thousands of views. People reaching out to me, and people asking me for advice about their MLM. I am genuinely excited to be able to actually start conversations, get to know people, and figure out how I can help them. 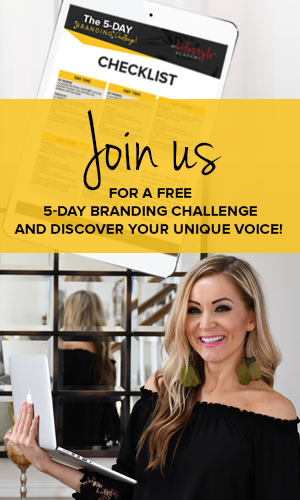 – Tiffiny R.
My biggest win is taking your MLA video challenge and beginning my branding journey. It helped me to earn 2 promotions and be on the verge of my 3rd in my 1st month with the company!!! 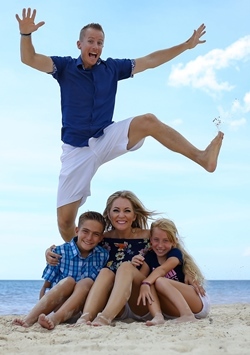 – Michelle P.
I started your course in November and my biggest aha moment had to be that growing a network marketing biz online doesn’t have to be hard or complicated. You guys have transformed the way I grow my biz online with daily Facebook lives (my most popular live to date getting over 4k views!). I’ve increased my visibility online using your methods, consequently leading to more connections, more presentations and more growth in my biz. So much respect and love for you both! – Emma T.
Oh man, you guys are amazing! Just when I feel like I’m having a horrible day. I watch you guys, and you guys get me so fired up!! I’ve been growing SO much! I started off terrified and questioned my worth to this industry. But I keep showing up and really focus on bringing value every single time. 3 new customers in the last 3 days and 1 new team member! On my way!! Thank you so much John and Nadya!!!! – Laura D.
Before meeting John and Nadya, I just did not have a real system to prospect on Facebook. Now, I do have a clear system. I created my own Group, I am using the Add, Tag, Message technique. My team is finally experiencing duplication. – Sonia R.
John and Nadya’s training is superb. Their entertaining delivery is guaranteed to be value packed!! They deliver the goods every time they show up! Inspiring, entertaining, educating & empowering. Every. Single. Time. Love them!!! – Tiffany J.
PS. Are you ready for coaching? We now offer direct one-on-one coaching to very select group of inner circle clients. This is through application only and there are only few spots available. Feel free to apply for a free 15-minute strategy session to learn more about our coaching offers and how we can help you reach your goals and dreams.